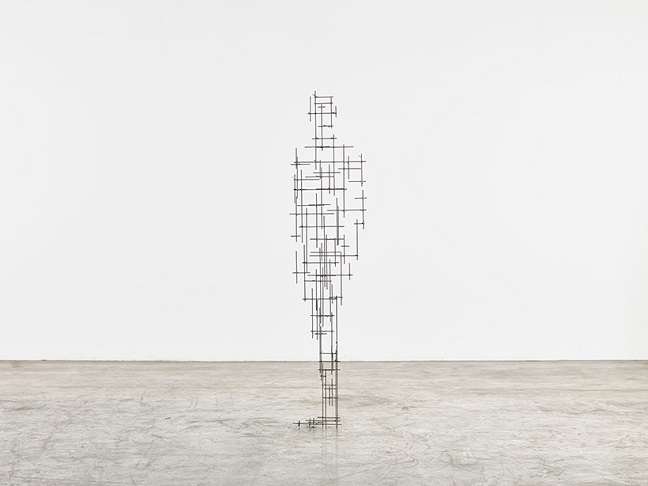 Sean Kelly is pleased to present Construct, a solo exhibit of new and significant early works by British artist Antony Gormley. Acclaimed for his sculptures, installations and public artworks that investigate the relationship of the human body to space, Gormley aims to evoke the experience of inhabiting a human body at “the other side of appearance”. 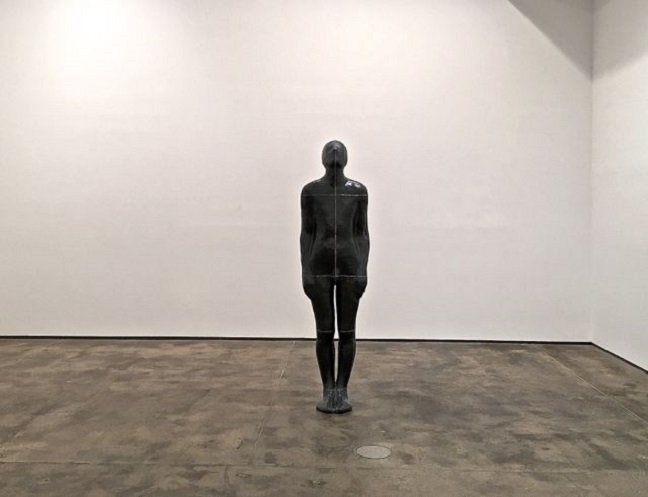 The show opens with Bridge, a life-size work from Gormley’s series of “Bodycases”, one of the earliest works made from a plaster mould of the artist’s own body. The sculpture is strengthened with fiberglass and encased in a skin of lead. Visible soldering lines on its façade form distinct horizontal and vertical axes, making the body a representation of physical and spatial experiences. The recent Scaffold translates the grid of lines found on the previous Bridge into a freestanding, three-dimensional mapping of the body’s internal volumes. Together, these pieces ask the viewer to consider the human form as a site of transformation, rather than a static object. Following this idea, the impressive Stretched Blockworks use rectangular iron blocks to echo the forms of New York high-rises from the early 20th century. In the entire gallery, Gormley’s exploration of body mapping continues with a series of bold sculptures that elaborate on the dynamic between space and mass. Visitors encounter five previously unexhibited works, whose pieces dismantle and reconstruct the interior volume of the human form through a system of interlocking steel beams running in three axes. Scaled up to one-and-a-half-times life-size, the series represents a body in five unstable moments of rest, from crouching to fully erect.